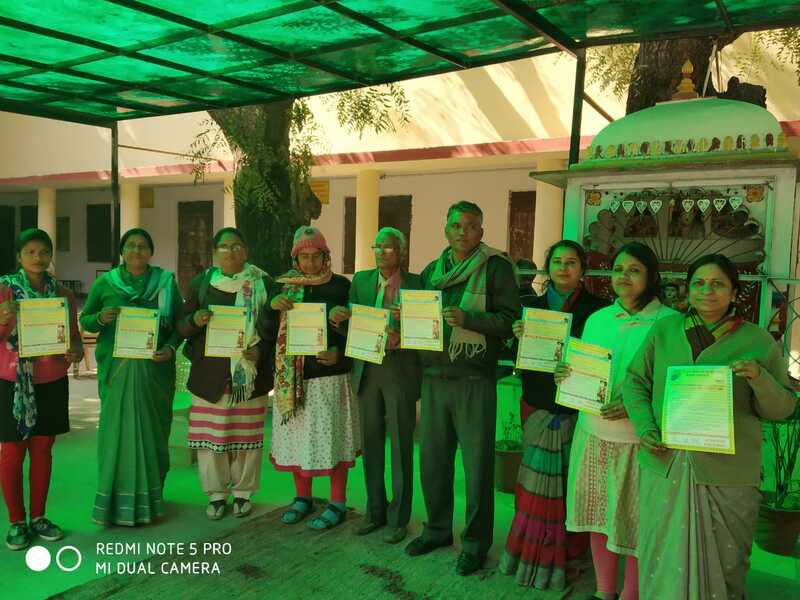 Teachers of the Guru Govind Singh Senior Secondary school formed the N.N.S. ( Nasha Nivaran Samiti ,De – addiction Committee. ) first time in the city on De –addiction day and Shahid Divas today on inspiration by Dr P.C.Jain .This committee will tell the students the various bad effects of addictive substances ,how to be away from them ,at the same will also check them time to time so that any body addicted can be treated in early stage of addiction .If needed he may be referred to Medical assistance also. On this day of Nasha _ Mukti Dr P.C.Jain gave them the living example of Crime ,Accident ,Deaths & Diseases caused by these addictive substances like Tobacco, Alcohol,Ghanja ,Cigarette,Gutkha ,Opium ,Brown sugar etc He said these deaths ,diseases,crimes and accidents could be prevented if these substances are not used . On the day of Shahid Dives two minute silence was observed in remembrance of all those who sacrificed their lives for freedom of our country and paid them the homage. All the students were administered the oath that they will not use any such addictive substance in their life. Principal shri Bheru lal ji Teli welcomed and Mr Kamlesh Verma anchored the program me.N.S.S. incharge Mr .Tej Pal ji Jain arranged the program.